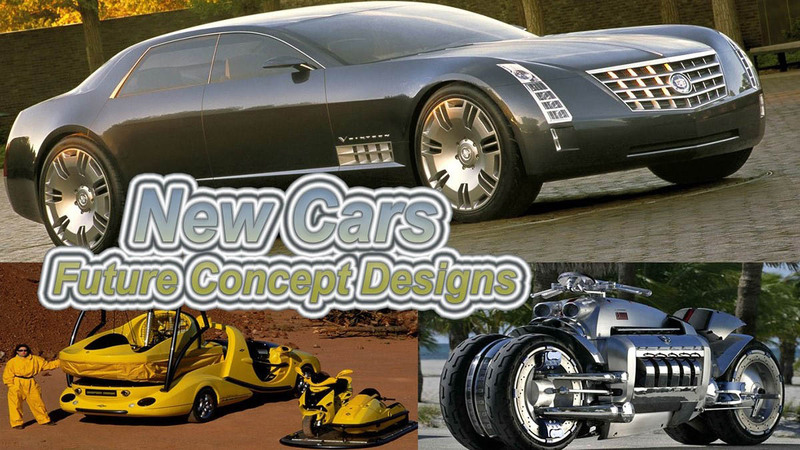 Future Designs currently being developed. The Chrysler Dodge Tomahawk is Its and Engine with wheels. 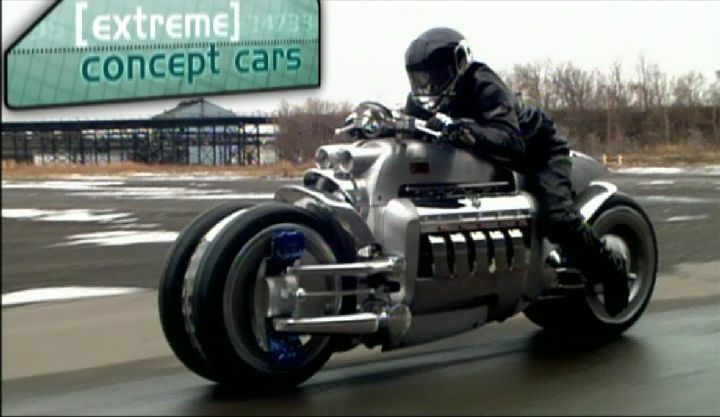 A Viper V-10 cylender based motorcycle, a 500 horsepower engine with four wheels beneath it. From 0 to 60mph in about 2.5 seconds, with a theoretical top speed of nearly 400 mph. 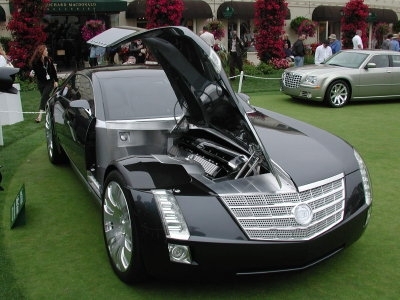 The Cadillac 32-valve V16 engine displacing 13.6 liters (~830 cu. in), which was exclusive to the Sixteen model only, it is mated to a four-speed, electronically controlled, automatic transmission driving the rear wheels. The engine features fuel-saving Active Fuel Management "Displacement on Demand" technology. 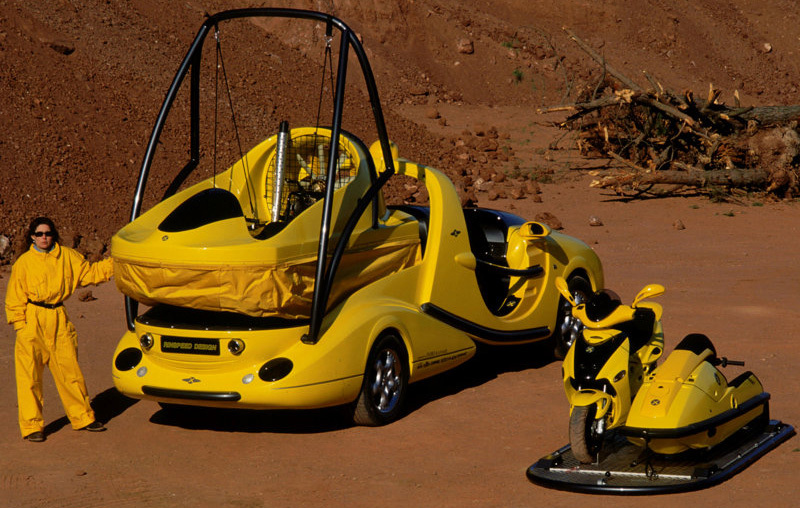 Rinspeed X-Trem Concept is equipped with this unique loading device, the use of the pick-up truck is considerably enhanced and enlarged. The vehicle now can be loaded swiftly, easily and without effort and therefore can be used in every aspect of life". The CBC's Duncan McCue hits the road to learn more about the future of electric vehicles. An electric vehicle (EV), also referred to as an electric drive vehicle, uses one or more electric motors or traction motors for propulsion. Three main types of electric vehicles exist, those that are directly powered from an external power station, those that are powered by stored electricity originally from an external power source, and those that are powered by an on-board electrical generator, such as an internal combustion engine (hybrid electric vehicles) or a hydrogen fuel cell. EVs include plug-in electric cars, hybrid electric cars, hydrogen vehicles, electric trains, electric lorries, electric airplanes, electric boats, electric motorcycles and scooters and electric spacecraft. Diesel submarines operating on battery power are, for the duration of the battery run, electric submarines, and some of the lighter UAVs are electrically-powered. Proposals exist for electric tanks. EVs first came into existence in the mid-19th century, when electricity was among the preferred methods for motor vehicle propulsion, providing a level of comfort and ease of operation that could not be achieved by the gasoline cars of the time. The internal combustion engine (ICE) has been the dominant propulsion method for motor vehicles for almost 100 years, but electric power has remained commonplace in other vehicle types, such as trains and smaller vehicles of all types. During the last few decades, environmental impact of the petroleum-based transportation infrastructure, along with the peak oil, has led to renewed interest in an electric transportation infrastructure. EVs differ from fossil fuel-powered vehicles in that the electricity they consume can be generated from a wide range of sources, including fossil fuels, nuclear power, and renewable sources such as tidal power, solar power, and wind power or any combination of those. The carbon footprint and other emissions of electric vehicles varies depending on the fuel and technology used for electricity generation. The electricity may then be stored on board the vehicle using a battery, flywheel, or supercapacitors. Vehicles making use of engines working on the principle of combustion can usually only derive their energy from a single or a few sources, usually non-renewable fossil fuels. A key advantage of hybrid or plug-in electric vehicles is regenerative braking due to their capability to recover energy normally lost during braking as electricity is stored in the on-board battery.